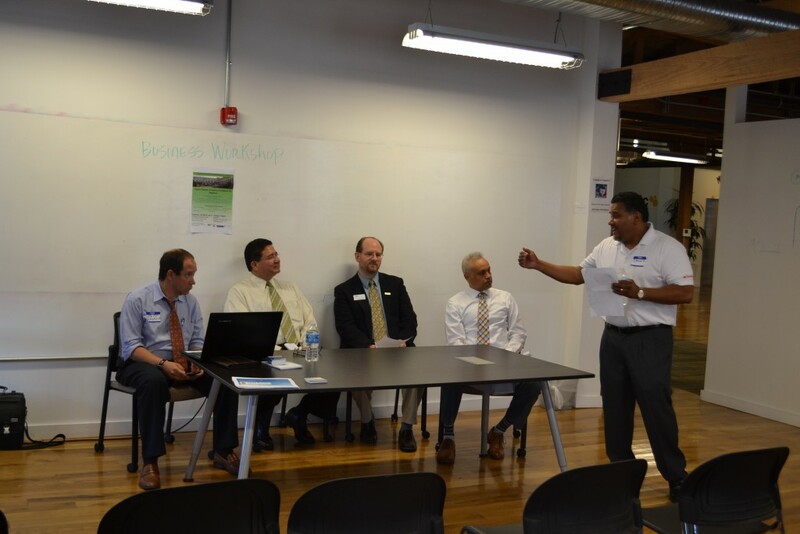 The Latino Providers Network, Inc. and the business committee presented the fifth Educational Workshop of 2014-2015 on Saturday, May 30th, 2015 at the Emerging Technology Center. Baltimore attorney Jeff Scholnick, (pictured below) was a speaker at the event. The workshop featured a series of presentations, panel discussions, resource tables and networking opportunities to help prepare and benefit aspiring Latino business owners, entrepreneurs and small and medium sized business owners in further developing and enhancing their businesses. Jeff Scholnick seated first on the panel.